Makeup is a definite passion of mine; the colors, textures and various brands are all exciting and delightful. However, similar to the saying, “Behind every great man is a great woman,” the same can be said about certain products used behind the scenes prior to makeup application. For today’s post, I present my Non-Makeup Beauty Essentials–for without these Unsung Heroes IMCT could not be 🙂 I hope you enjoy. Huggies Baby Wipes are not used for their intended purpose, but rather as makeup wipes to clean up any messes incurred during makeup application. These wipes are very handy to quickly clean my brushes on a daily basis. Simply add some makeup remover on one end of the wipe, swirl your brush in the saturated area, and blot it clean on the opposite end of the wipe. Shiseido Facial Cottons have been hyped-up to no end on blogs for years–and with good reason. These cotton pads are manufactured in Japan and are known for their tightly woven structure. The lack of lint remnant on lashes after makeup removal, makes this product worth every penny. Cotton Hand Towel (preferably darker colors) is placed on my lap during makeup application. I’m a big fan of using the same brush for multiple colors/uses; this towel gives me the convenience of wiping my brushes clean in-between color placement. I can’t tell you how many times my Chikuhodo Z-5, Make Up For Ever 110, and Billy #12 have been gently swiped across this towel. Rubbing Alcohol 91% used to disinfect my DermaRoller. Rubbing Alcohol 91% is used to disinfect my powdered eyeshadows and DermaRoller (discussed here) once a week. 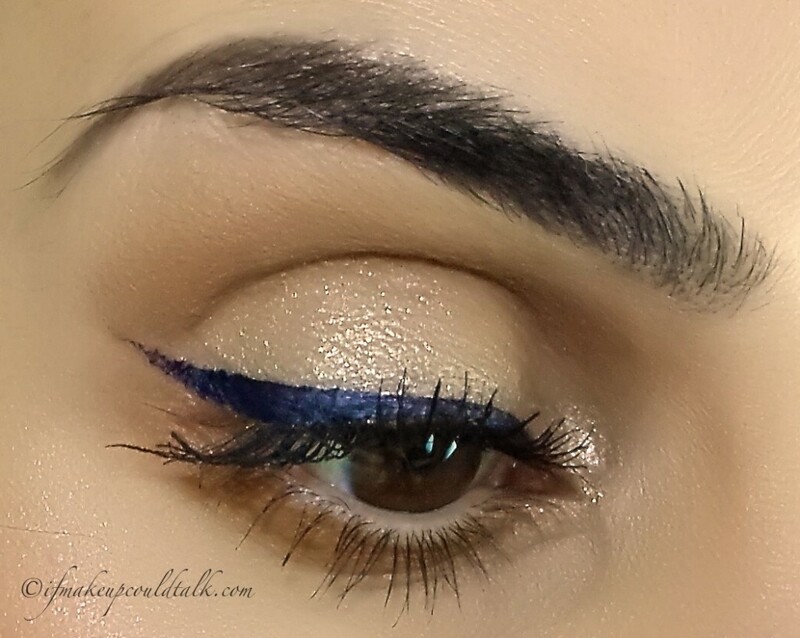 Simply transfer a small amount of alcohol into a spray bottle and mist directly onto eyeshadows. The higher percentage aids in faster alcohol evaporation so eyeshadows are ready for use within a couple of minutes (important for makeup artist). 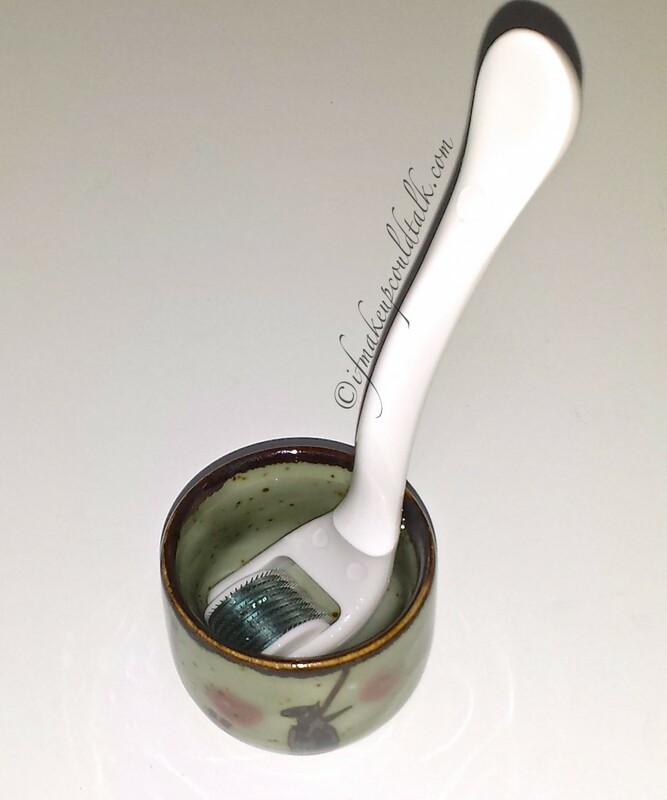 To clean my DermaRoller, I simply fill a small Sake cup with alcohol and soak my roller for 15 minutes, to ensure all bacteria has been obliterated. 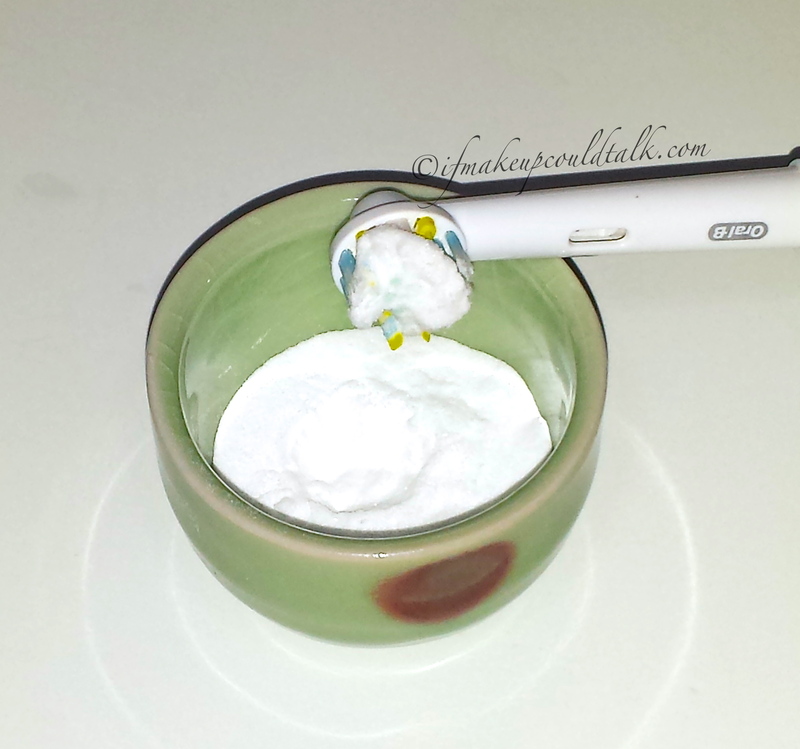 Baking Soda with toothpaste on the Oral-B toothbrush. 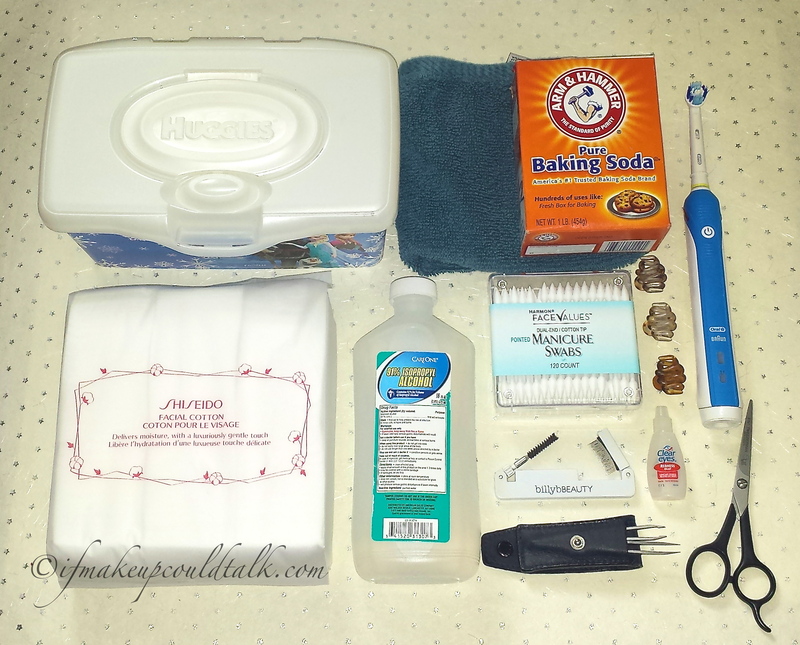 Arm and Hammer Baking Soda may seem like an unlikely item to be included in this post, but this multi-purpose wonder has been around for ages and its gentle abrasive composition, helps remove stains, plaque and tarter from teeth. Transferring a small amount of baking soda to a Sake cup seems to be the most efficient way to access the product without contaminating the rest of the powder. I simply wet my toothbrush, add some toothpaste and dip the dampened brush into some baking soda. Once a day, everyday (in addition to a regular cleaning at night) seems to be sufficient for keeping teeth clean and healthy. Let’s face it, all the makeup in the world will not help someone with unsightly oral hygiene…just saying. Oral B Professional Care Power Toothbrush is one of the most important hygienic tools. The powerful brush action is so much more effective at cleaning teeth than any manual toothbrush. If you don’t own one, GET ONE!! Scunci No Slip Octopus Jaw Clips are the only small clips that work well at holding my abundantly long, fine hair in place. I use them to pin back my hair during makeup application and for a simple sophisticated look on lazy hair days. You can find several of these bad boys scattered throughout my house at any given time. Regular Q-Tip vs. Precision Tipped Cotton Swabs. Winged liner using Precision Tipped Cotton Swabs. 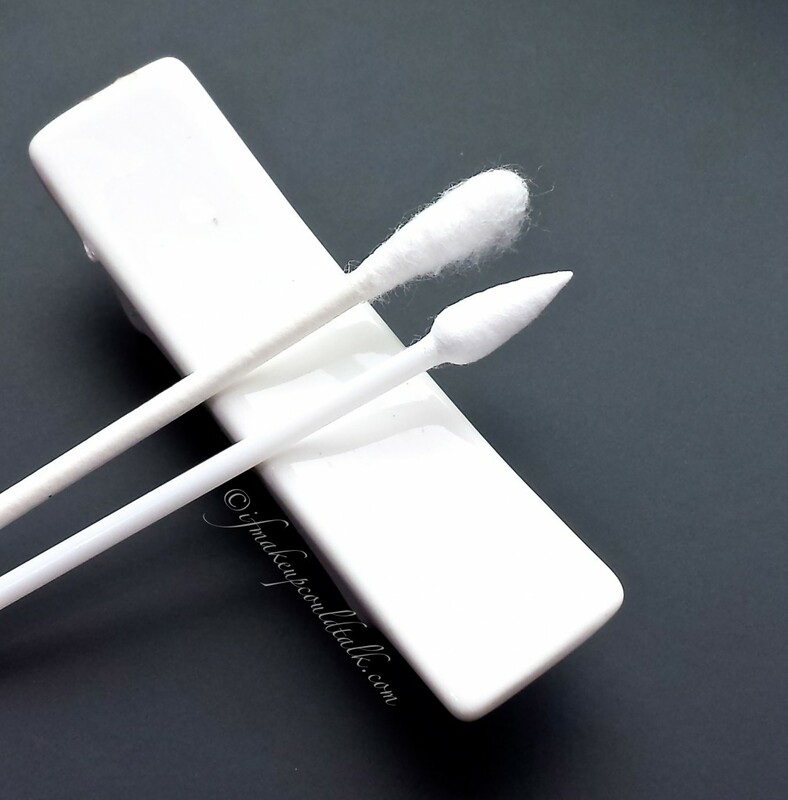 Precision Tipped Cotton Swabs were the inspiration for this post. A few days ago, I ran out of these babies and found myself scrabbling trying to utilize a regular Q-Tip to achieve a crisp edge to my winged liner. Not only did I become incredibly frustrated with the whole ordeal, but it was at that moment I realized how indispensable these swabs are in my life. To achieve a crisp eyeliner edge, simply dip the precision tipped cotton swab in any lotion and gently swirl the saturated swab on the back of the hand to disperse the lotion evenly around the tip. Place the saturated swab directly at the edge of the top lash line and drag the swab outwardly and upwardly until you have reached your desired angle. The tightly woven design is marketed for manicure use, but the lint-free construction and sharpened tapered tip is the secret to my perfectly winged success. Clear Eyes Eye Drops are used every morning to relieve my parched eyeballs. Due to the dry heat produced from my steam heaters, my eyes become red and itchy. These little droplets of moisture provide the relief I so desperately need to look and feel whole again. Tweezerman 5½ inch Styling Shears have been in my collection for 5 years. These sharp little shears are used to trim my wooly brows every week. With careful maintenance, the blades have remained as sharp as the day they were purchased. Billy B Brow and Lash Groomer is the only brand that folds in completely and has two of the most useful tools on each end. I foolishly purchased a drugstore dupe, only to have both ends fall off after a month’s use. This particular guy has been with me for two years and the construction has never faltered in all that time. The brow brush is used everyday to blend out my brow color and the lash comb is quite useful for getting clumpy mascara to behave in an acceptable manner. Tweezerman Petite Tweezer Set have been with me for almost 10 years. I literally use these tweezers everyday to remove stray hairs around my brows and upper lip area. I cannot image what a hairy mess I would be if these beauties were not in my life. One of the perks of being Italian is having a lot of hair and one of the downfalls is having a lot of DARK hair. 🙂 These bad boys help me control a potentially uncontrollable facial hair situation. Makeup would tell you these items really are irreplaceable in my life. What are some of your Non-Makeup Unsung Heroes? Until next time, be well stay safe and be happy.